Prepare to fall in love with this renovated, executive style home located in Glen Eagle at Tuscawilla, a Golf Community. This one-story Custom Built home sits on a large private corner lot. Featuring 4 bdrms, 3 ½ bath, pool, formal living & formal dining, large family room, with a 3-way split floor plan. 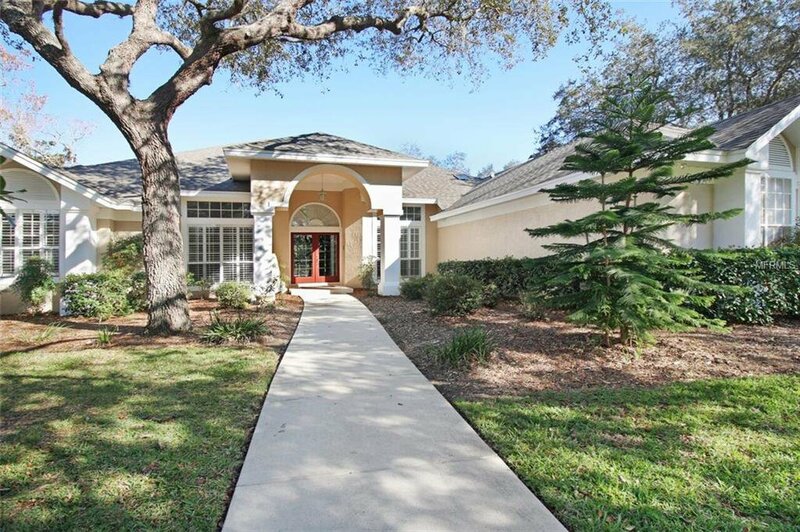 Bright open floor plan with volume cathedral ceilings, and plantation shutters throughout. From the moment, you step in you will see the attention featuring the new wood-look tile floors throughout the home. The kitchen was renovated in 2017 with custom cabinets, granite countertops, stainless appliances and opens into the family room with a wood burning fireplace. From the family room walk out to the covered lanai with brick pavers and the screened pool which is perfect for entertaining! The expansive master BR features a sitting area & extra-large master closet. The large master bath suite was renovated in 2017 with custom cabinets and quartz countertops with dual sinks, a walk-in shower and garden tub. The additional three bedrooms are all oversized and perfect for a growing family. The remainder of the home features an interior laundry room with utility sink and a large 3 car garage. BRAND NEW ROOF in 2018. Freshly painted inside in 2017. New HVAC and water heater within the last five years. Close to Tuscawilla Country Club, UCF, Research Park, Oviedo Mall, and Oviedo Hospital & 417/426/434 for easy commuting. Zoned for top rated schools including Oviedo High School. Listing courtesy of EMBASSY REAL ESTATE, INC.. Selling Office: LUXE REAL ESTATE CO.